Tomorrow at 6am we are going to hit the road and head south – our destination is the beautiful city of San Diego! I’ll be blogging live along the way, so get ready to see the coast and eat some amazing food. The overall roundtrip drive will be ~ 1200-1500 miles. When we get to San Diego we’ll attend the largest Social Media Conference. Opening night is at the Balboa Park’s San Diego Natural History Museum for an evening party. We’ll taste some of San Diego’s favorite dishes while checking out the life – sized dinosaurs. The next night we’ll sail aboard the largest charter yacht in Southern California. The Inspriation Hornblower stretches 222 feet with 3 decks. It also has an open-air sky deck which I’ll show you. I’ll also share some social media tips. After the conference we’ll head back up the coast, enjoy the ocean views, Santa Barbara vineyards, and again search out some fabulous restaurants. If you have any suggestions please post them! If you’d like to receive email updates as I post, just click the FOLLOW button on the upper right corner. A special thanks to my friends from New York who are going to stay at my house and keep my tomato plants watered. They just arrived and their kids have more things plugged into my TV – I have no idea what everything does which is pretty humorous! See you in the morning! We’ll stop at Starbucks first and then hit the road. San Diego, here we come!!!! Categories: California | Tags: adventure, beach, blog, California, coast, coastal trail, coffee, food, highlands, Highway 1, hot sauce, lemon, lime, los gatos, northern california, photo, photo blog, photography, photography blog, relax, road trip, San Diego, shellfish, single, solo travel, starbucks, surf, travel, travel blog, travel tips, ttot, wine | Permalink. I love San diego tourist attractions like Balboa Park, San Diego Zoo, Belmont Park and SeaWorld San Diego. These places is pretty good for holidays with family and children. 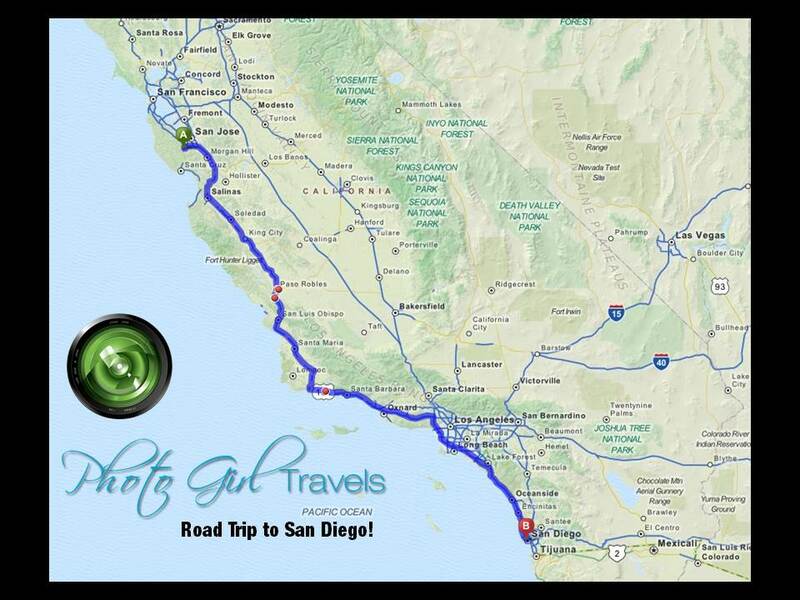 Thanks for this lovely post “San Diego Road Trip! Day Before Departure” and nice pics.